Coal companies are expected to turn away from mergers and acquisitions (M&A) this year to maximise the value of their existing assets on the back of high prices and a weaker Australian dollar, according to international law firm Herbert Smith Freehills. Gold, meanwhile, is predicted to take coal’s place as the leading commodity for M&A in 2019, noting its steady increase in demand and exploration activities throughout last year, the firm continued in a report. Given a potential decline in M&A activities in coal this year, coal companies are predicted to refocus their efforts on increasing their development and expansion projects. There may also be increased joint venture (JV) and strategic partnership activities, not just at the asset level, but arrangements relating to specific aspects of mining operations, such as infrastructure or marketing and blending. Chinese-backed coal miner Yancoal reported a continuation of demand for its thermal coal last month. 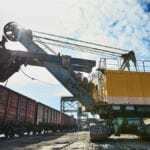 Company chief executive Reinhold Schmidt said Yancoal would “maximise returns from current market conditions” by meeting increasing needs for high quality coal supply. 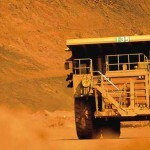 “Australia’s resources and energy commodity exports are expected to reach a record high in 2019 with high coal prices and weaker Australian dollar driving the strong performance,” Herbert Smith Freehills said in the report. 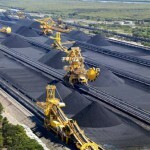 Other companies such as Glencore, however, revealed plans to cap both its coking and thermal coal production. Rio Tinto has also divested its coal assets in recent years as part of a transition to a low carbon economy. IBISWorld senior industry analyst Kim Do said in January that thermal coal prices were expected to decline as global economies continued to transition away from coal to reduce greenhouse gas emissions. More Australian companies are expected to exploit global transition to electric vehicles by investing in copper-rich areas of South America, particularly Chile, Peru and Colombia, amid growing demand and decreasing supply.